Flowers are one of the best creations of the Almighty! From their refreshing scent to their beauty, whether in one or a bunch, they are always seen as a symbol of purity, attractiveness and good luck. Apart from their charm they are also useful for many medicinal purposes and are one of the essential elements of the food chain. 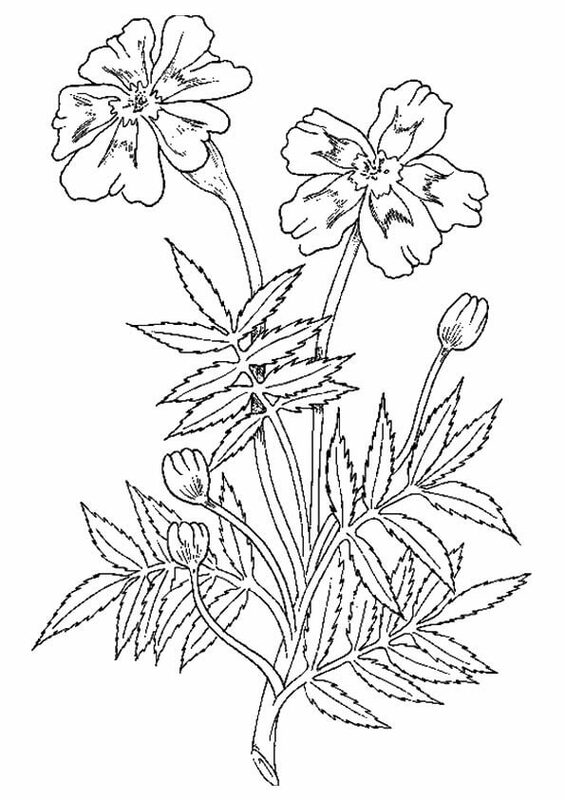 Today we have got a wonderful compilation of such unique printable flowers coloring pages with various characteristics ranging from garden flowers to the ones used primarily for healing and medical treatments. What so ever their usage may be, but one cannot ignore their beauty! Excited to know more about them? 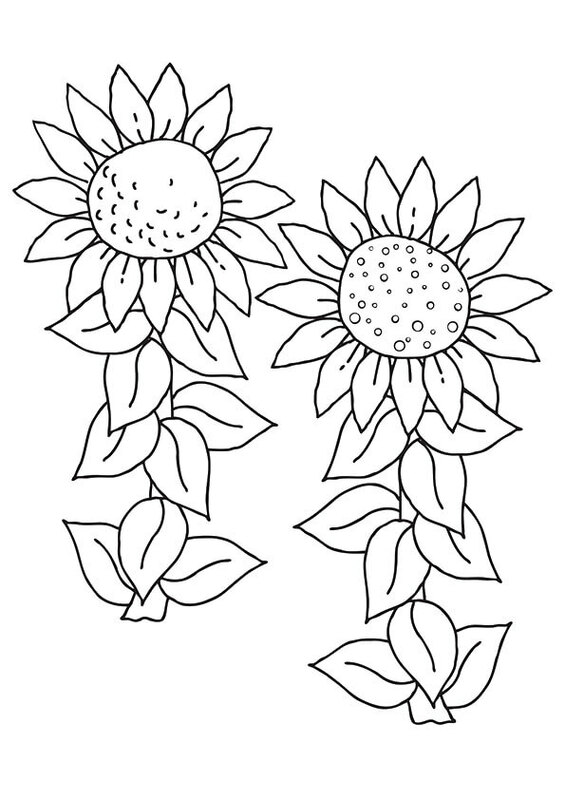 Then keep on reading and coloring the printable flower coloring sheets we have got for you! Amaryllis flower is commonly known as Belladonna lily or naked lady. The word ‘Amaryllis’ is derived from the Greek word “to sparkle”. It is stunning red and if legends are to be believed Amaryllis with her determination and grit won Alteo’s heart and is symbolized as an epitome of love pride and glazing beauty. Baby’s Breath is most commonly used as filler in bouquets and adds just the right amount of final touch to anything it is put on. They are usually seen in clusters, mostly in white and light pink colors. It is native to Chicago and some parts of Eastern Europe. It is usually used as a décor in wedding ceremonies and is considered as a symbol of purity, love, and innocence. Thistle is a part of the sunflower family and has over 200 types of thistle species. However, ‘Scotland Thistle’ is the one that always comes into the limelight for being the national emblem of Scotland. The Thistle symbolizes respect, bravery, durability, strength, and determination. A Thistle is also deferred to a person who overcomes all the hardships and struggles in life to move on to a better world with pride and respect. 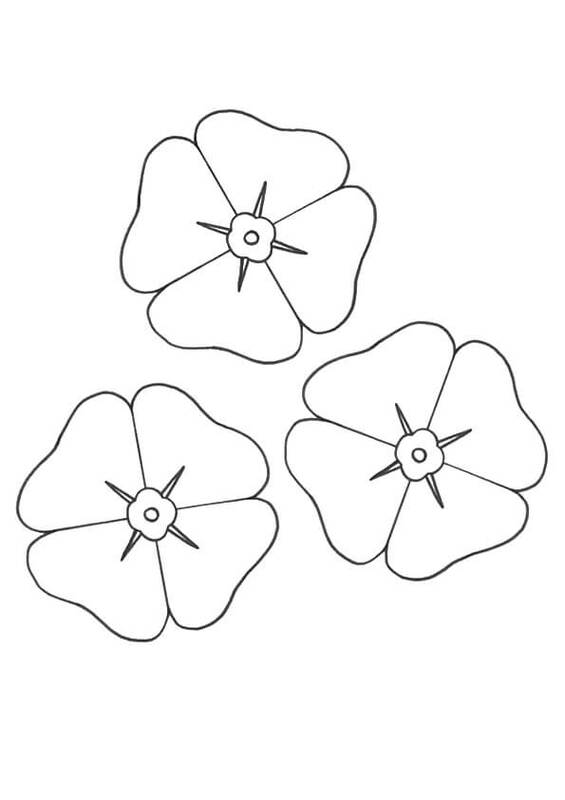 Gardenia flowers were named in honor of American naturalist ‘Dr. Alexander Garden’. 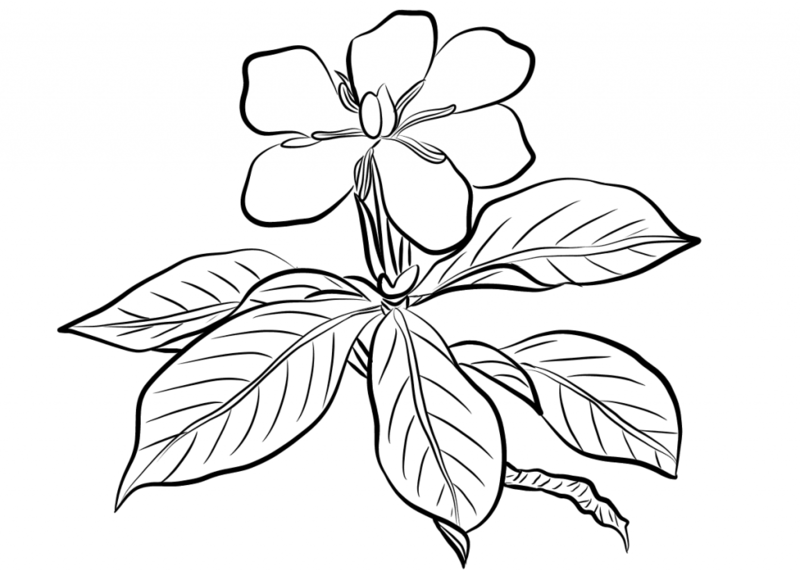 Gardenia flowers are native to the tropical and sub-tropical regions of the world, most importantly being Asia. 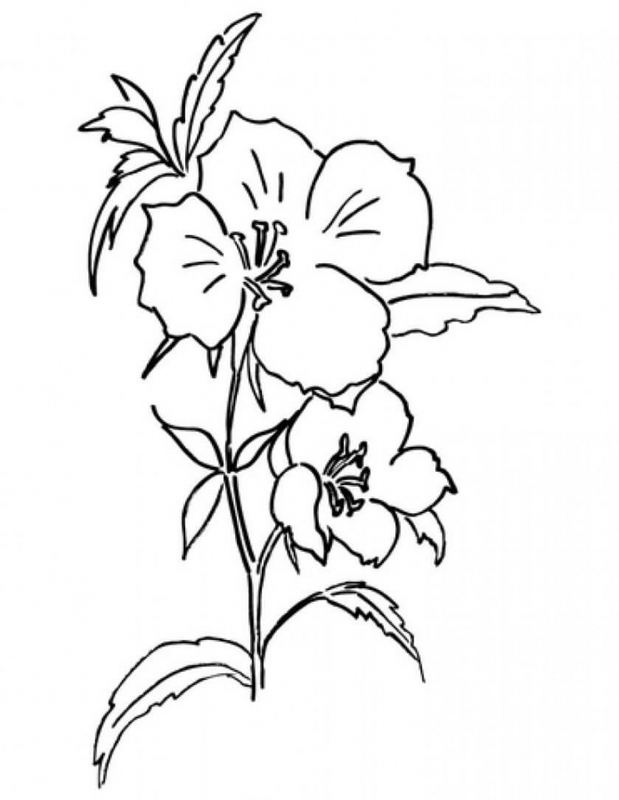 This flower is known significantly for its fragrance and has a special meaning associated with it. It is given as a confession of love. It also symbolizes purity, clarity, beauty, trust, hope as well as innocence. Godetia flower commonly known as Farewell to spring, Clarkia or Satin flower is native to North and South America. It is best grown in cooler conditions and hates heat and humidity. It is considered as a symbol of love, sincerity, and fascination. ‘Grandiflora Rose’ also known as Cherry Vanilla is a cross between Hybrid Teas and Floribunda Rose. It has long stems and is usually longer than the other rose counterparts. It has picked up some of the best characteristics of its crossbreed parents. They are also disease resistance and love sunshine. The Heliconia flower is also known as the false bird of paradise, wild plantains, and lobster claws. Heliconia is native to central and South America and islands of Pacific Ocean. It’s named after nine Greek Goddesses and the Greek Mount Helicon. It is considered as a symbol of youthfulness, beauty, and freshness. 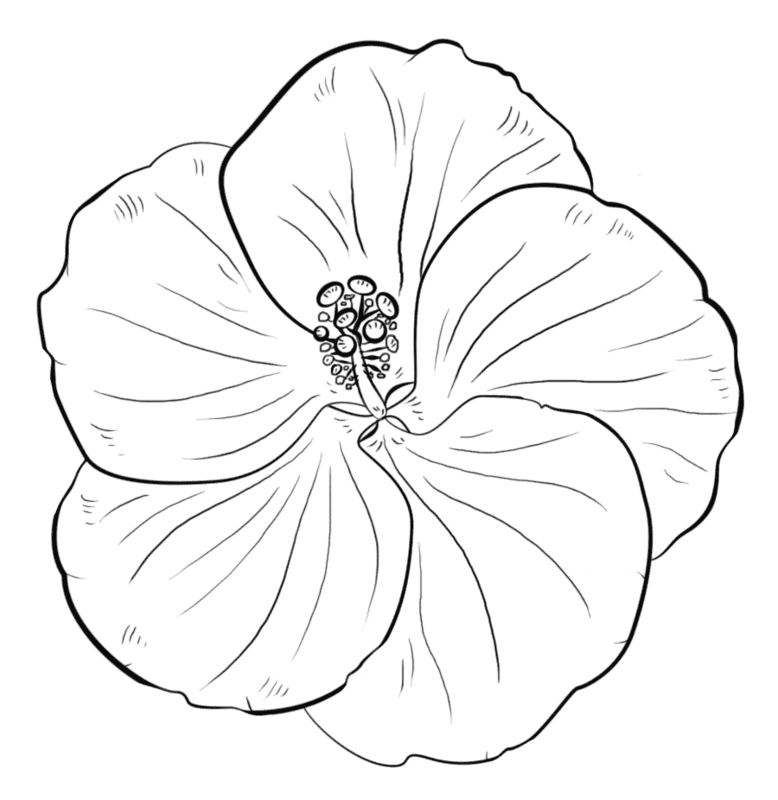 Hibiscus flower is also commonly known as Shoe flower. It is originated in Asia and Pacific regions, but is now found almost all over the world. Found in beautiful shades of red, orange white and pink, it is considered as a symbol of sensuality and delicacy. It also has many medicinal usages and emits wavelengths that have a direct impact on the well-being of human heart. Delphinium, also known as Larkspur has derived its name from the Greek word “delphis” which means dolphins. It was used as a dying agent for clothes and also to flee away insects and other poisonous creatures. It upholds importance in Greek mythology as well as Native American and Christian legend. It is also considered as the birth flower of July month. 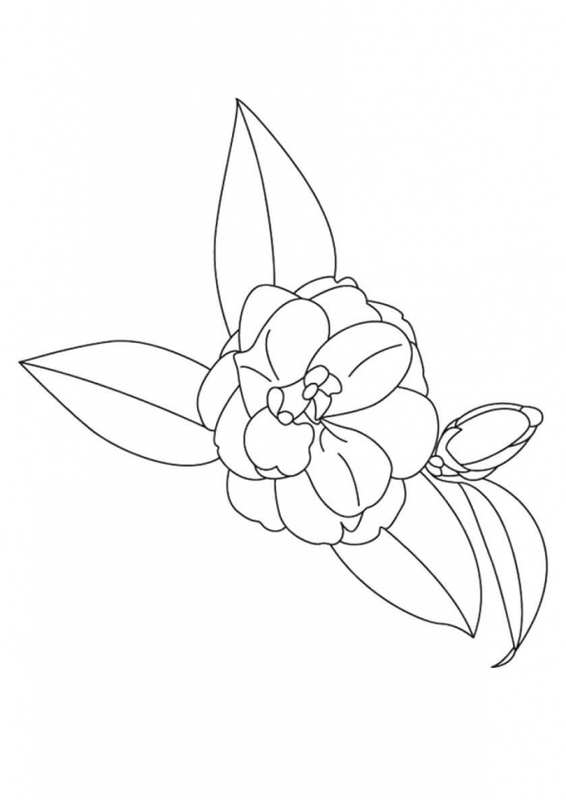 The Peony flower has various mythological legends related to it. On one side it is considered as a symbol of love, honor, romance, beauty and on the other side, it is taken as a sign of bashfulness and shame. It is available in pink, white and red variants, of which red being the most prized and honored. It is also a national emblem of China. Depending on various cultural beliefs it is either treated as a sign of good luck or bad will. 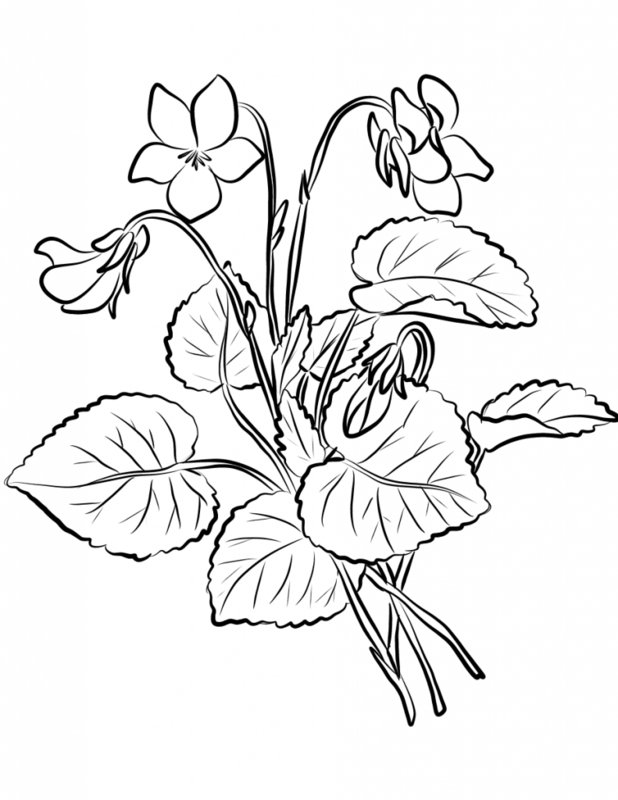 Primrose is a flower with exceptional uses! It is edible, used for treating, healing as well as other medicinal purposes. It is referred to as the symbol of ‘young love’ and is usually given to your loved ones in life, whom you don’t want to get apart from. Primrose grows best under filtered sunlight, is very easy to grow and hence preferred by many. The Scarlet Carnation flower is a member of the Carnation family. It is the state flower of Ohio since 1904 and holds a place of love and reverence in Ohio’s state legislation. Carnations have many variants, but the deep red Scarlet Carnation represents the emotions of the people of Ohio State. Sweet Pea is one of the most blissful flowers that can restore immense pleasure in one’s self! It is the birth flower of April month and can also be gifted on 13th wedding anniversary for a happy and prosperous married life ahead. Sweet Pea has one of the most regal fragrances and can fill anyone’s dull day with joy and excitement! It can be grown in any conditions, but is best grown in sunny conditions. Here is a picture of some blooming flowers that mark the beginning of spring. Seeing such a picture in your backyard or garden fills your heart with immense pleasure and joy. Blooms and blossoms remark the start of happier days in our lives. Munchkins should color this picture with bright and beautiful colors just as it would be at the commencement of spring. The Camellia flower grows in shrubs with big sized petals in colors of pink, white and red. Gifting these flowers to someone indicates love, passion, excellence, and longevity. The blooms of Camellia are worth watching amidst all the variants! 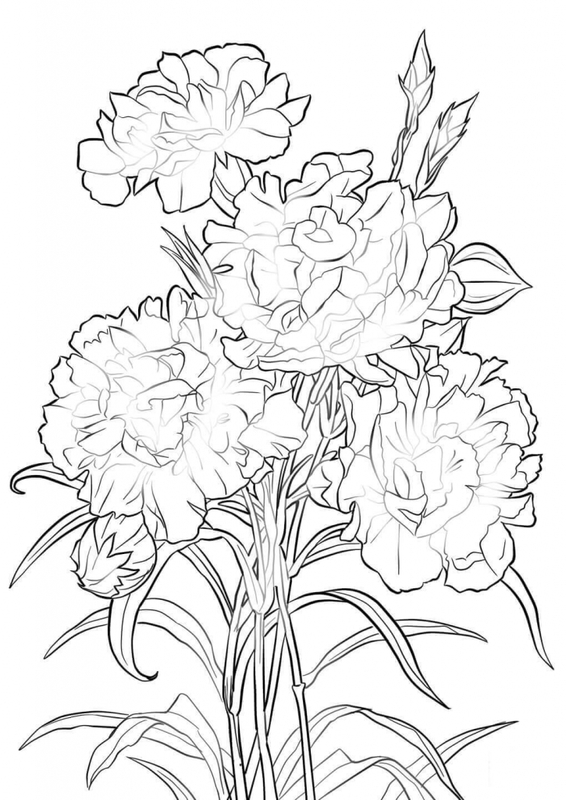 Carnations flowers have various legends related to them. They are one of the oldest cultivated flowers in the history of human civilization. They are the birth flower of January month and have a vivid range of medicinal usage from aromatherapy to skin healing treatments! Carnations have a wide variety of healing power. They are also one of the favorite cut flowers. Cherry Blossoms one of the prettiest flowers someone has ever come across, hold a special significance in Japan where they are known as ‘Sakura’ flowers. They revive the festive vibes in many south Asian countries. Japanese traditions include them in many festivals and occasions as they are considered as an omen of good luck, prosperity, and well-being. Here is a fun mix of colors and numbers! Let’s see how well your child co-ordinates with the color and number combination to make this frame as colorful as it would ever seem. Daffodils are said to be the first ever flowers to bloom after the winter frost and mark the beginning of spring! 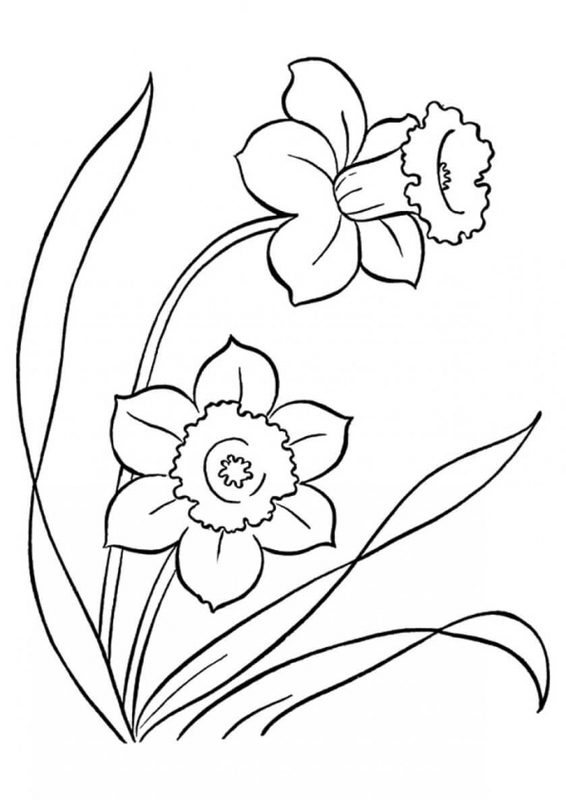 Blooming Daffodils on New Year’s Eve is associated with good fortune, prosperity, and well-being. They are available in variants of white and orange, but the yellow hues are much more cherished in the entire world! Their blooms mark the beginning of happy days, and they are also March month’s birth flower. Dahlias are one of the most outstanding flowers found in a bouquet. They are extremely beautiful and represent many cultural and ethical values. They define grace in spite of being in stressful situations, beauty, inner strength, an urge to change and travel. They are also November month’s birth flower. Many people in the states buy or plant them as a celebration of joining a new religion or changing a habit for good! Daisies, originally pronounced as ‘Day’s eye’ are sought to be one of the most pious flowers embarking the commencement of new beginnings. They are generally gifted to new mothers or infants for a happy new life ahead. 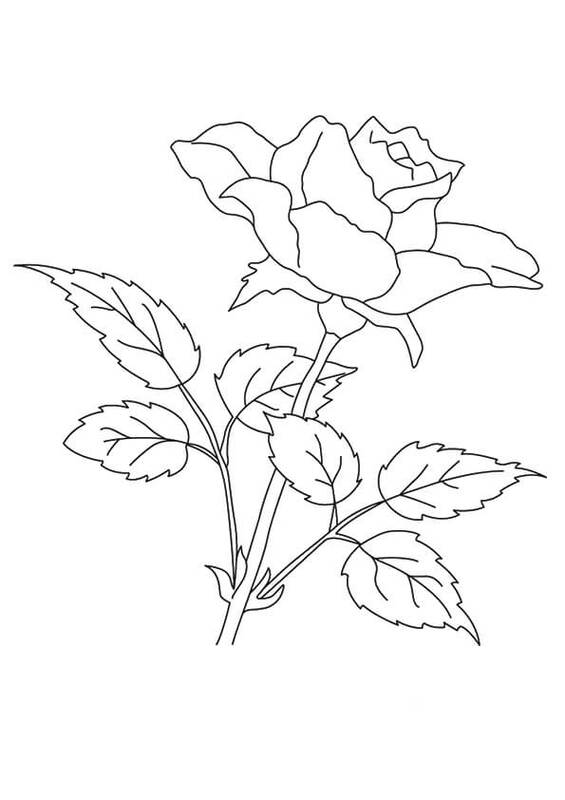 They also symbolize love and harmony as two flowers composite to be one at the beginning of the day. Daisy’s open up only during the daytime and hence the name. How happy the butterfly looks heading towards the flower. 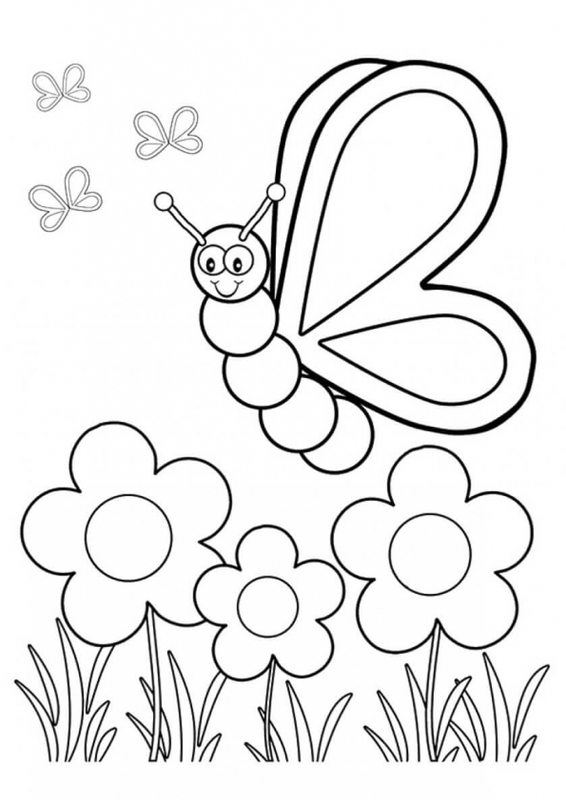 Butterflies pollinate the flowers in our garden, which is important for them to blossom and bloom up. 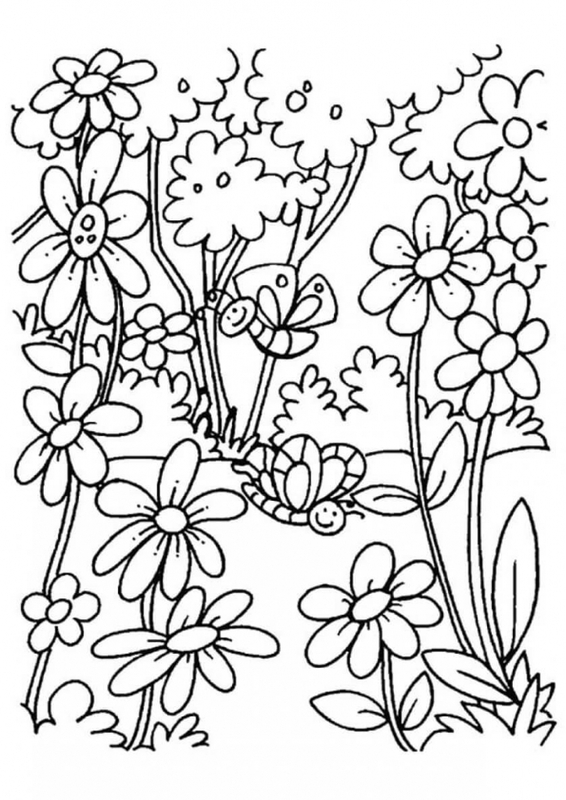 Let’s hit the color box and color this beautiful picture with vivid colors! A flower pot with just the right amount of flowers glooms the beauty of your living room by many times. Why just the living room? You can keep one on your balcony or your kitchen as well. Positive energies are emitted out of them and make one’s mind cheerful and refreshed. Flower fairies are the ones who reside on flower tops in the mountains. 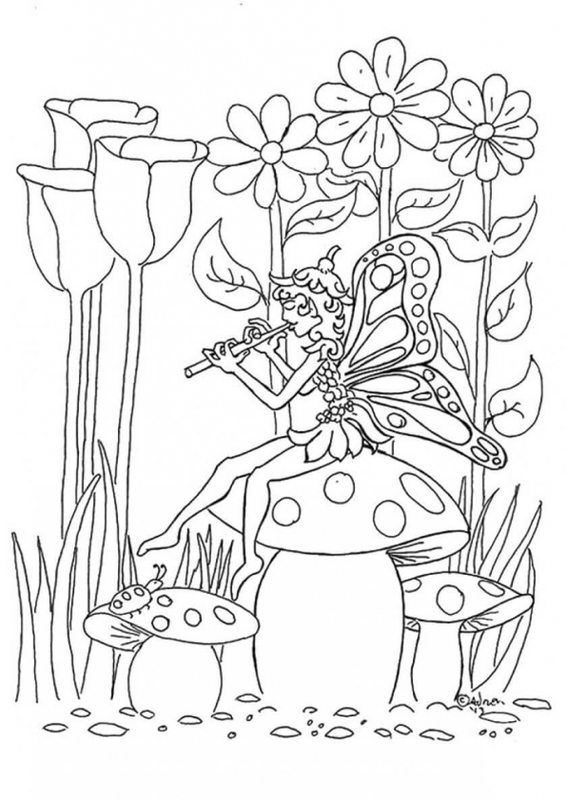 In the picture portrayed above, we see a beautiful fairy playing a flute pipe and the flowers steadily dancing to the melodious tune! 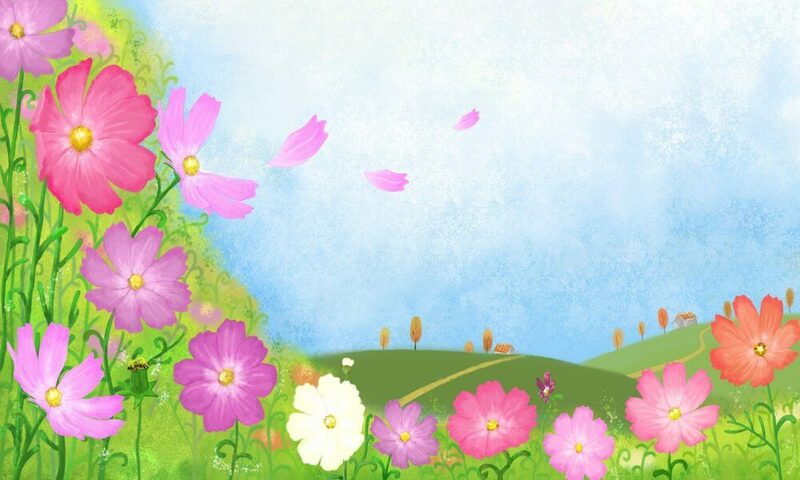 Flower fairies are bounded to their birth flowers and have a responsibility of taking care of the flowers around them. Flower Mandalas are created with flower petals arranged radially outwards with one flower focused at the center. The geometry with which they are created is said to be spiritually enlightening the mind. 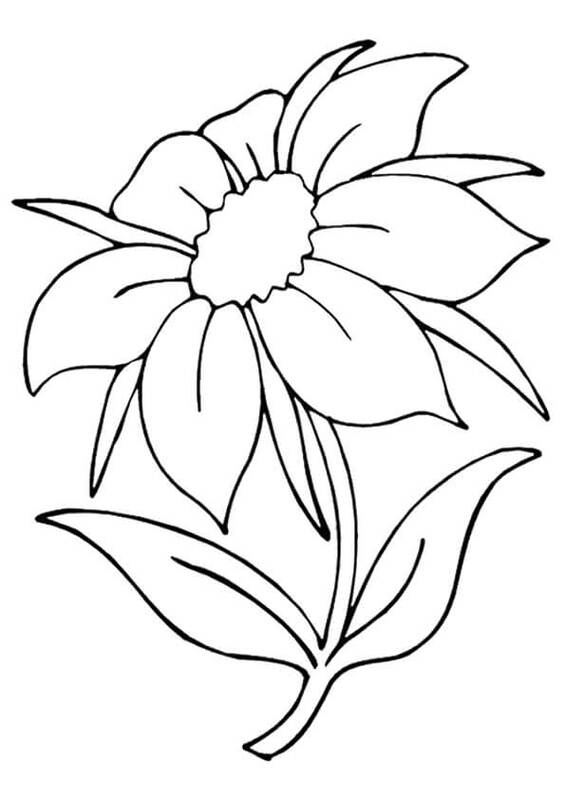 Some flower Mandalas are created originally, and some are replicated with the photographs of flowers in it. 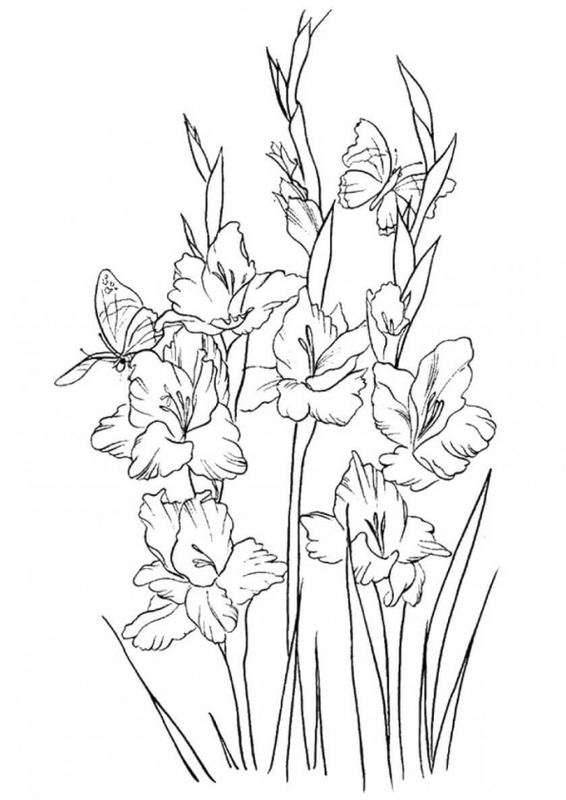 Gladiolus is the August month’s birth flower. 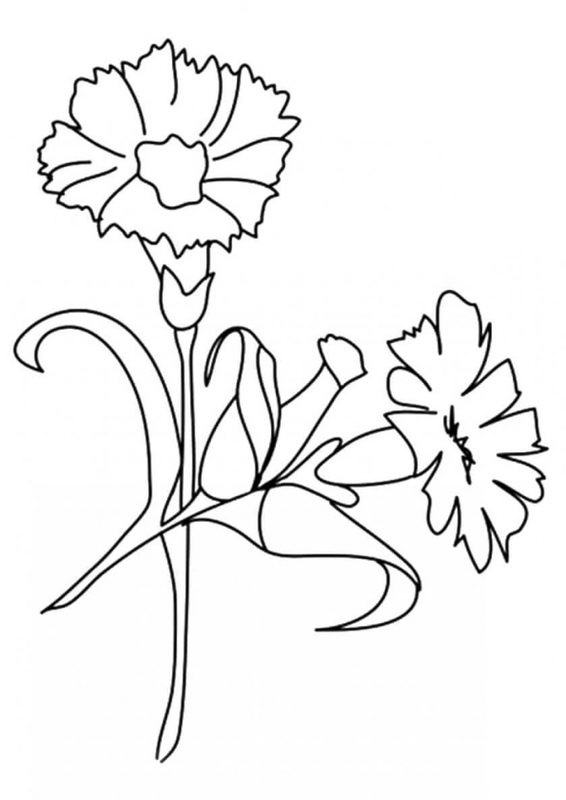 The word Gladiolus comes from the Latin word ‘gladius’, which means sword! 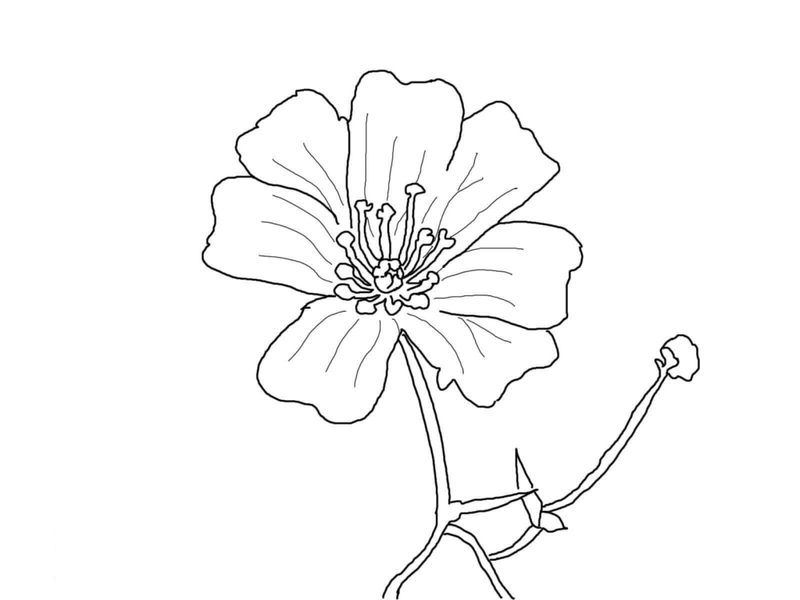 They bloom on a long spike, and their grass-like foliage resembles the blade of a sword. Hence they are reputedly known as sword flowers. A gladiolus flower may have many meanings some of which are infatuation, love with passion or a feeling of never giving up. 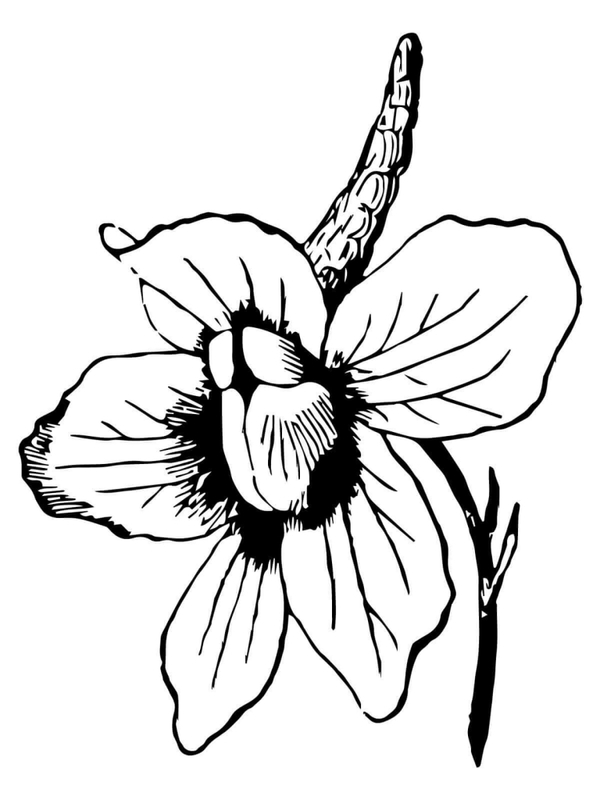 Iris flowers have a major significance in Greek mythology. They uphold immense importance in being the messenger of God as per their beliefs. They are also mounted on the graves of loved ones who have left for a heavenly abode to reach their final destination. 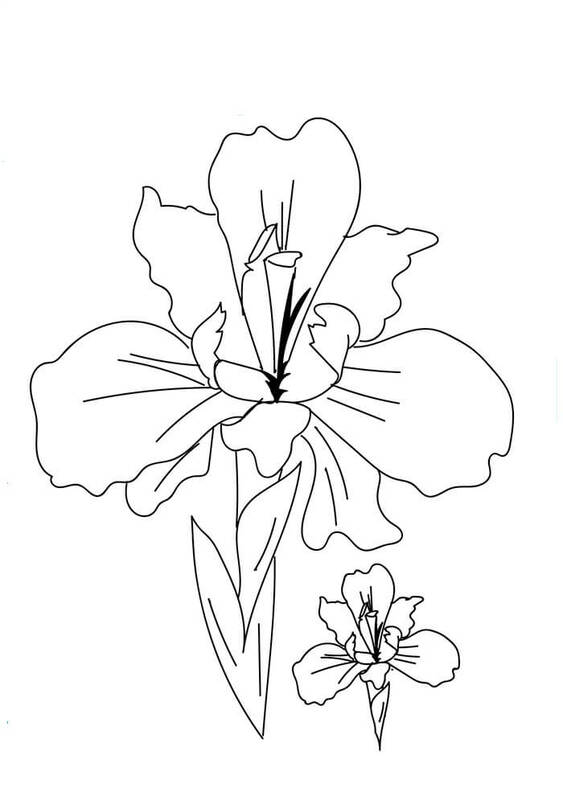 Iris’s symbolize royalty, faith, wisdom, and bravery. Jasmine flowers are native to Eastern countries mainly India, Pakistan, and China. Now they are cultivated across the states worldwide! 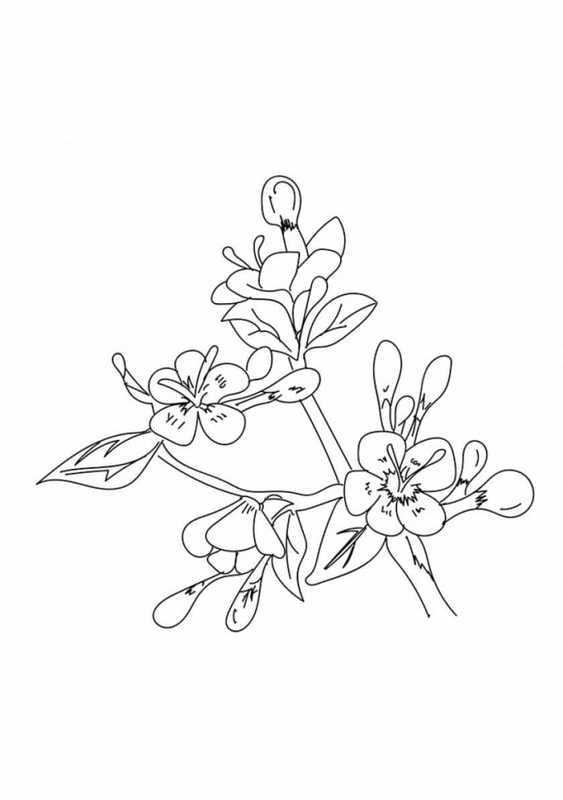 They are heavily scented and used in occasions such as weddings ceremonies, worship to god and festivals. In western countries too they are planted or kept in the room for aromatherapy and getting a good sleep. 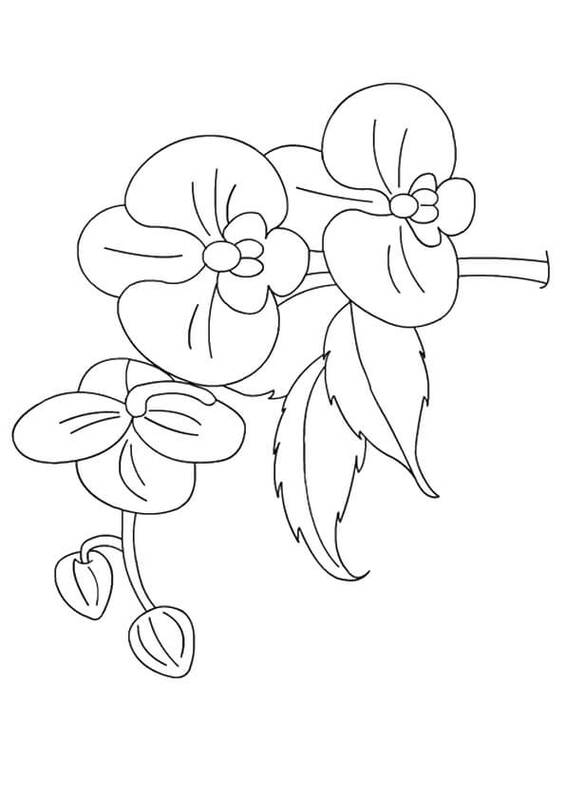 Jasmine symbolizes purity, love, sensuality, and reverence to god. 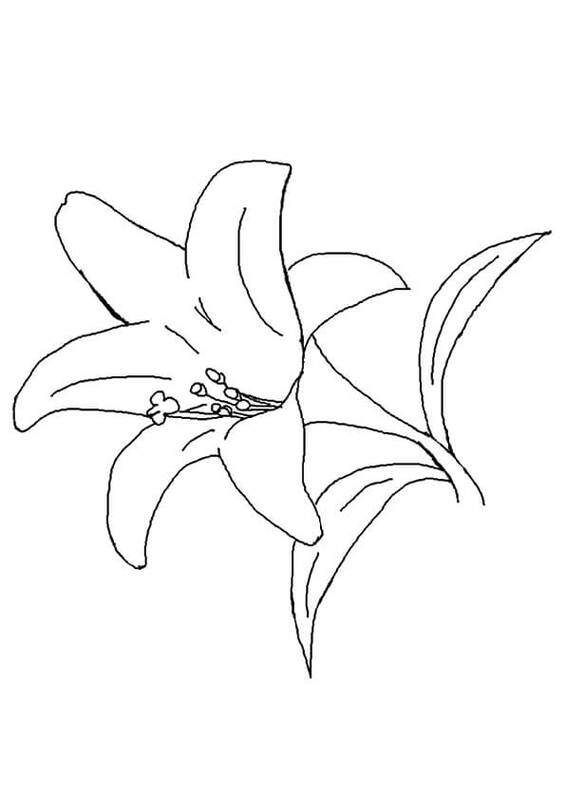 Lilies were believed to be sprouted from the milk of Hera, the goddess queen of Greek. It is revered as the purest among the flowers according to Greek mythology. It is also a symbol of masculine energy and was used to determine the gender of the unborn child during ancient times. It symbolizes fertility, regality, development, motherhood, renewal, and rebirth. 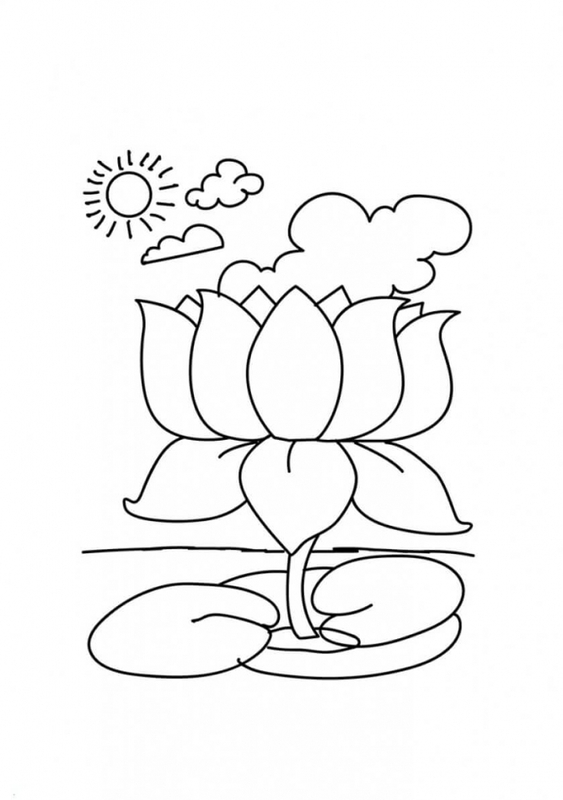 The lotus flower is sacred amongst the Buddhist, Egyptian, and Hinduism culture. 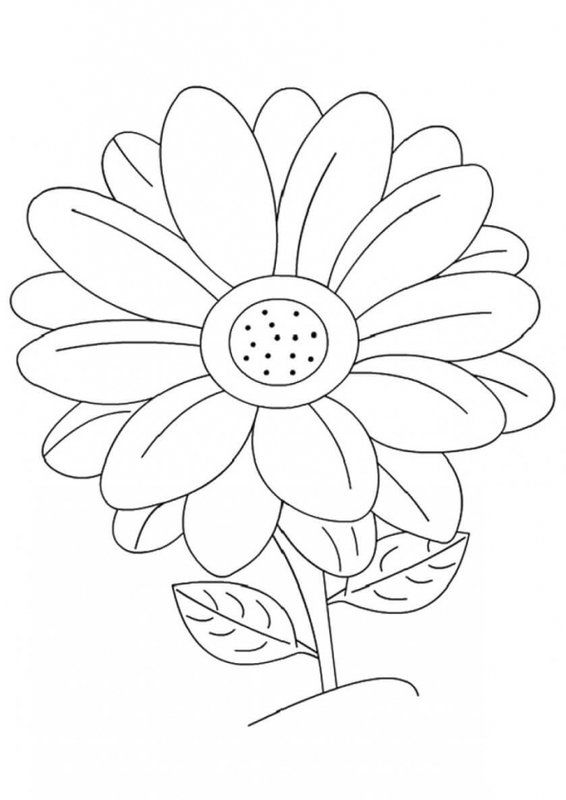 The different colors of this flower symbolize different meanings, such as pink stands for purity, devotion, mysticism, spiritual contact, white stands for mental purity, spiritual perfection, self-awakening, blue stands for victory over wisdom, intelligence, knowledge, red stands for love passion and compassion. Marigolds are small in size among the rest of the symbolizing flowers, but they carry a message as important as the others do! They uphold significance in Christianity and Hinduism cultures. In ancient times many negative connotations were related to this flower, but in the modern world it symbolizes beauty, the warmth of rising sun, passion, legendary braveness and courage. Orchids are majorly available throughout the world! Often symbolizing beauty, virility, and luxury they are available in all colors of the rainbow except true blue! They do require a bit different growing conditions, but every bloom is worth to wait for! They make the prettiest flower bouquets and are mostly used for decor in royal celebrations. Pansies are a part of the violet family. 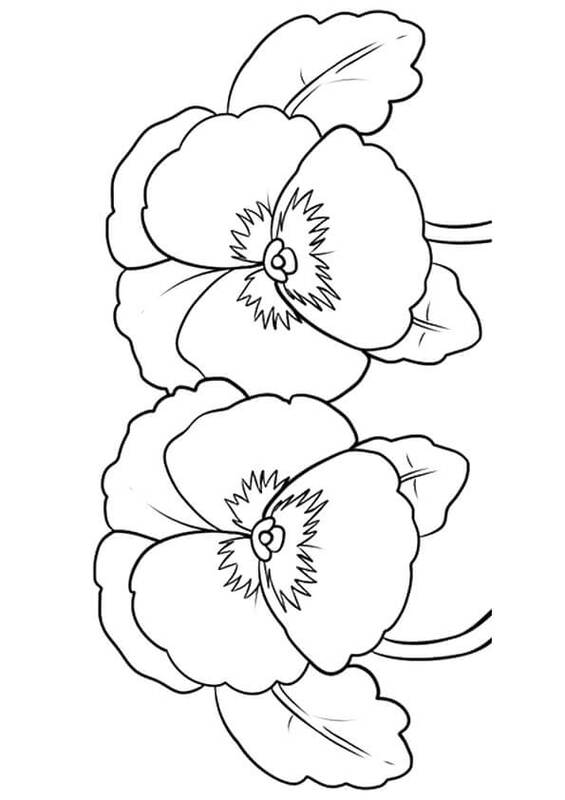 The word ‘pansy’ is derived from French origin meaning to think. In Victorian England, pansies were offered as a sign of secret courtship and amorous feelings for the receiver. It also means reminiscence, free-thinking, remembrance, loyalty, and love with passion. It is the birth flower of February month and the official symbol of Osaka, Japan. Poppy is among the few flowers which hold significance in various aspects of life such as medicines, mythology, and spirituality. 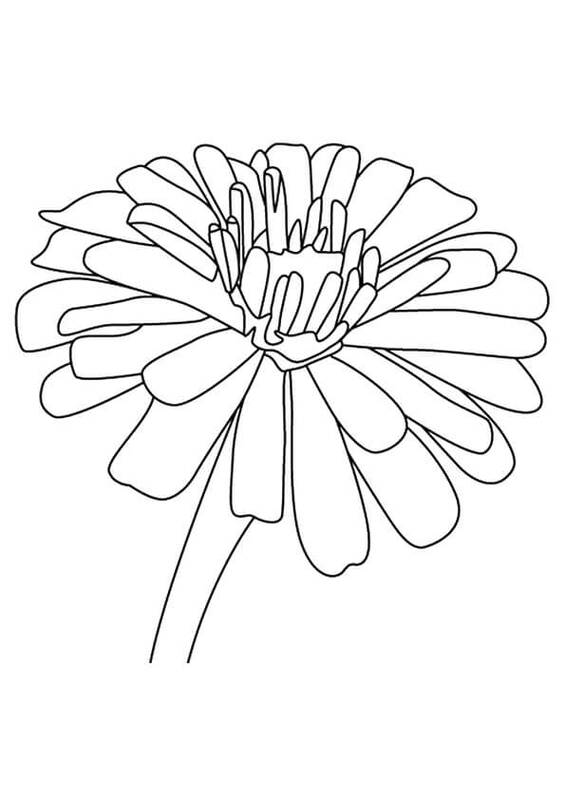 The various colors of this flower embark different meanings associated with it. Some of them include deep sleep, rebirth, consolation, healing, and richness. It is related to some deep emotions of the people who lost their lives during the First and Second World War. Whether in eastern or western civilizations, it is deeply related to the feelings of inner peace and calamity of the soul! Often considered as the flower of romance! Roses are usually believed to be the expression of love, but only a few know that they also represent confidentiality! It is used in many beauty treatments and products as well! Roses are edible and are also used for dressing salads! The type of message conveyed depends on the no. and color of roses given. It also has many legendry histories associated with its origin. When it comes to lifting someone’s spirits, sunflower has no match at all! This bright glowing flower resembles to the sun and hence the name! It has the power to bloom and boost a dull spirit. It was originally grown in South and Central America, and now it is available worldwide. It serves the dual purpose of production as well as adding beauty and confidence! Tulips are one of the renowned flowers all over the world! Having their roots in Persian, Dutch and European cultures, tulips are the 11th wedding anniversary flowers. 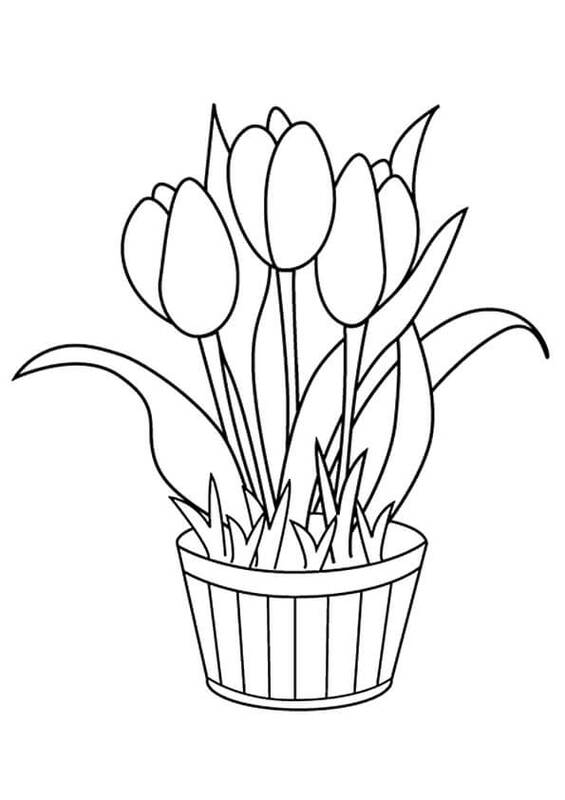 Tulip bulbs were traded on land in the early 16th century for their beautiful bulbs. They symbolize deep love, passion, rebirth, romance, and elegance. Some also consider it as the most romantic flowers of all times! 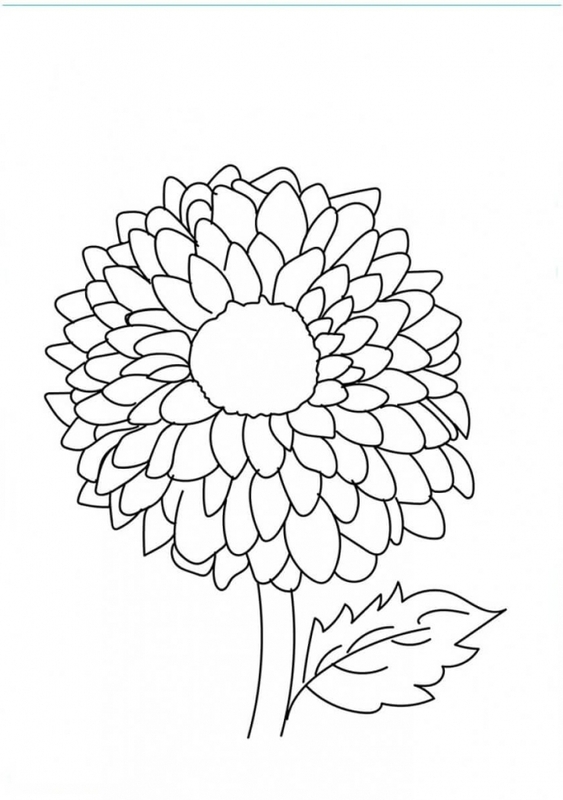 The Zinnia flower is one of the cheerful flowers anyone can see! They grow in easy conditions and are known for their strong endurance power. Some of the meanings associated with it are remembrance, lasting affection, missing the presence of a friend or lover, but the one that truly stands out is its enduring power. It can grow in boiling hot conditions and can stay up till the first frost of winter, from extreme drought conditions to infectious bugs, it can withstand it all! One must learn from Zinnias on how to handle the most difficult situations gracefully! Violets are beautiful small flowers highly related to spirituality. They signify recurring modesty, inspiring love, faith and spiritual passion. They are also equally important in medical and beauty treatments. They are also used in aromatherapies to cure anxiety and insomnia. The color violet gets its name from this flower, which has numerous utilities! Protean flowers existence date back to millions of years! As historical they are, so is their uniqueness! They are named after Proteus, the son of Greek sea-god Poseidon. Proteus had the innate power of changing his appearance so that he could hide his detection. Protean flowers are named after him because of their almost 1400 different shapes, sizes, colors and hues! 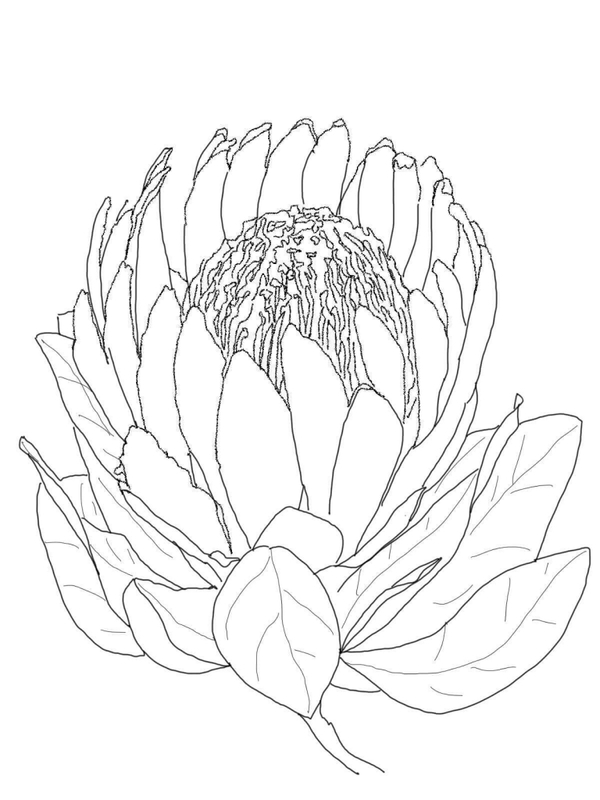 They are the national flower of South Africa and uphold utmost significance in their culture. 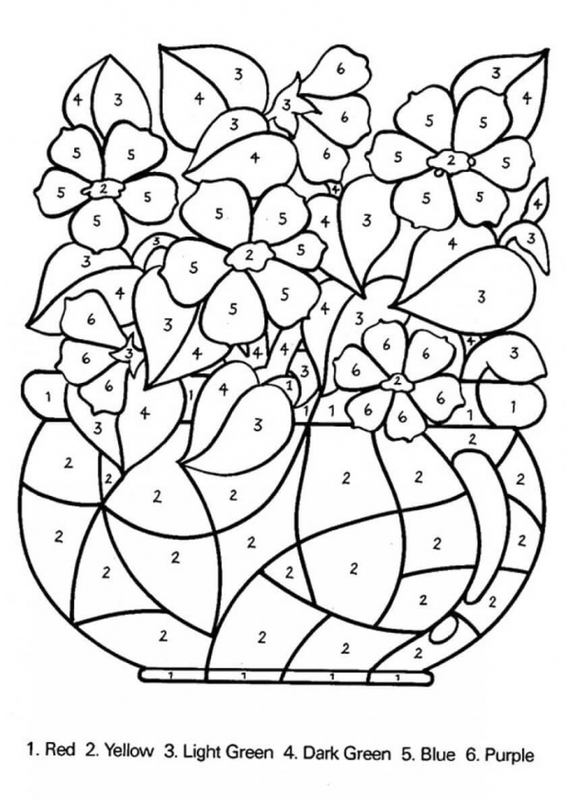 And this was our compilation of 40 beautiful flowers coloring pages. This article focused on steadily increasing your child’s knowledge of the beautiful facts of nature. 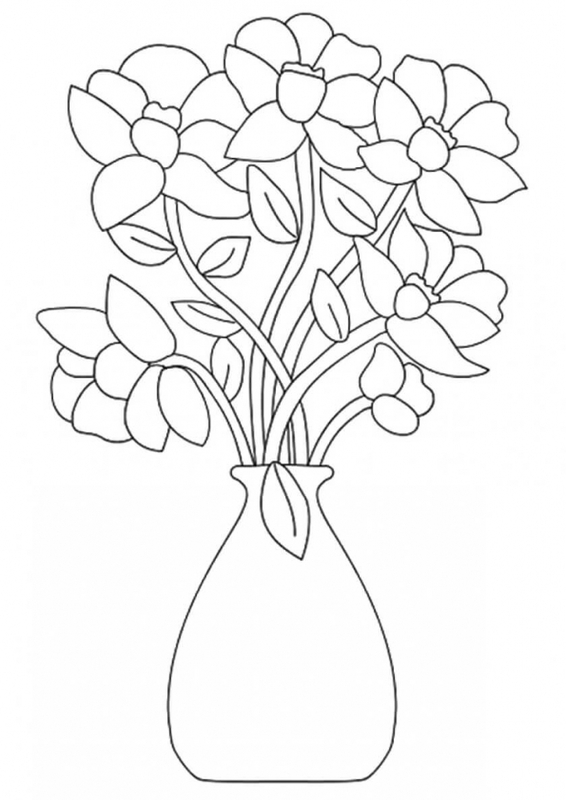 If you like this article on flowers coloring pages and want us to do similar compilations ahead, please let us know in the comments section below. 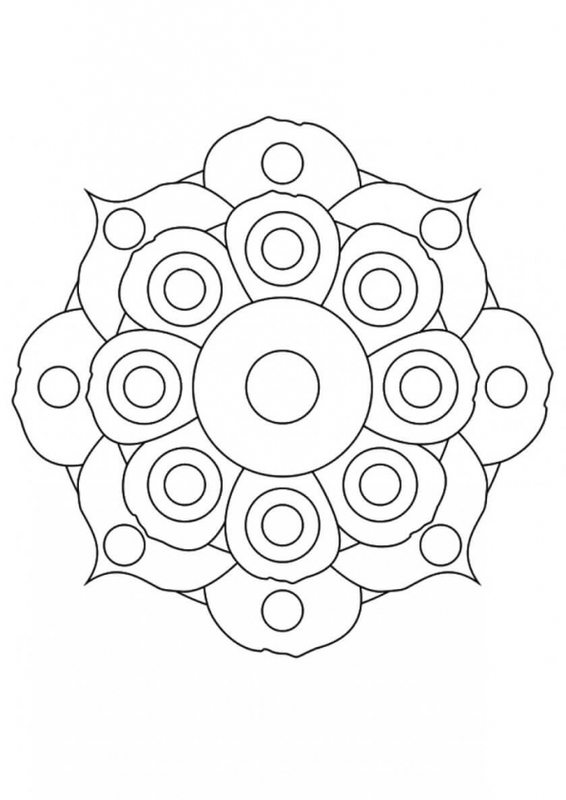 In the meantime, check out our Mandala coloring pages.